AN investigation into the tragic death of 12-year-old Salma ElSharkawy while in the care of Camden’s social services has revealed how the fostering of children has been turned into a multi-million pound business. Haverstock School pupil Salma, who was killed in a car crash last month, had been placed at a private children’s home in the Peak District, Derbyshire, where care costs £150,000 a year, the New Journal can reveal. Salma’s four-month stay at the Adventure Care centre cost Camden taxpayers £46,000 – £2,900 a week. Accounts for Adventure Care, which has two company directors – social worker Helen Slater and outdoor ‘educator’ Garry Codman – are not publicly audited under an exemption scheme for small businesses. Inquiries show that Camden Council has 319 children in care, at a cost of £8 million a year. In the last financial year, Camden spent £3.4 million on 53 children in residential homes – £64,000 a child annually. Private ­foster care for 82 children cost £2.6 million – £31,700 a child annually. Another £2 million was spent on providing council foster care for 158 children – £12,600 per child a year. 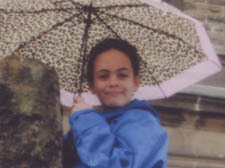 During her two years in care, Salma was n from page 1placed with three foster carers. John Hemming, Lib Dem MP for Birmingham Yardley, who is chairman of family law reform group Justice for Families, said: “There’s a lot of centres out there that are that expensive. “A lot of money is made out of children in care. Salma’s case shows how the system did nothing at all positive at any stage and how a lot of people made a lot of money out of her. Salma was not the only Camden child to have been placed at Adventure Care, where the children are schooled and have the chance to go horse-riding. Camden has placed one other child at the centre, although it is unclear for how long. Further investigations reveal 76 per cent of Camden’s children in care were placed outside the borough, higher than the national average of 55 per cent. This adds to the expense to the council, which, on top of the cost of fostering or residential care, has to pay for social workers to supervise contact visits and parents’ expenses. Salma’s story has provoked letters, emails and visits from parents whose children have been taken away by Camden’s social services. Her parents, Walid ElSharkawy and Mary O’Sullivan, have spent the last week protesting outside Parliament. Mr ElSharkawy now plans to take his campaign to the Town Hall steps. He has placed Salma’s story on the video-sharing website YouTube, where a voiceover talks of his despair at not getting the help he wanted from Labour MP Frank Dobson, over a display of photos of his protest and Salma’s grandmother sitting by her grave. Mr Dobson, MP for Holborn and St Pancras, said: “If someone gets in touch with me about a child in care I always take it up with the council. Mr ElSharkawy says I told him it was before the courts. I can’t interfere with court judgments. Mr ElSharkawy has spoken of his distress at the way he learned of his daughter’s death. He received a phone call at 6pm from someone who wanted her dental records but would not say why – he does not know who called. Five hours later the police visited to tell him his daughter had been killed. Leaked documents also reveal how the police’s Missing Persons Unit was uncomfortable about taking Salma from her parents each time she ran away. A meeting to discuss her care described her parents as “loving” and told how Salma threatened to kill herself on several occasions, once being grabbed by police as she threatened to throw herself from a balcony at a friend’s house. Just before she was taken to Adventure Care, she ran away, managing to live on the streets for three weeks. Mr ElSharkawy has complained about the fact that Salma, who had a mixed Irish Egyptian background, was never placed with a foster carer who took into consideration her Muslim roots, despite Department of Health guidelines stating “racial, ethnic, religious, cultural and linguistic needs” should be considered. A Town Hall spokeswoman said: “We were all extremely saddened by Salma’s death and we continue to support her family during this very difficult time. “Camden Council has some of the best social workers in the country and a strong record of effectively protecting and supporting children, young people and families. To suggest otherwise is a huge disservice to children and young people in Camden because people need to come to us when they are worried about children. “Children in care, or who are subject to care proceedings, have a right to privacy and we have both a responsibility and legal requirement to protect it. We take this very seriously and are concerned that details of children’s, often difficult, lives are being played out on the pages of a newspaper. “Sensationalising one side of complicated cases puts children at risk. Among the reasons children are taken into care are neglect, domestic violence, physical and sexual abuse, and drug and alcohol abuse. “It’s fundamentally important that children and parents are not deterred from seeking help and that our looked-after children have confidence in the care they are receiving. Keeping families together when it’s in the best interest of the child is always our priority and our legal duty. “The facts speak for themselves – last year there were more referrals to Camden’s children social services and fewer children in our care. This means our work to keep families together is succeeding. The reason Salma and hundreds of other children end up in the "care" system is not because of any physical ill treatment, or neglect as claimed by Camden Council.Most 'including Salma) have been taken because well paid "experts" say the children are "at risk" of emotional abuse or "at risk" of exposure to domestic violence ! Parents are in effect found guilty not of crimes they have committed but of crimes these soothsayers styled as "experts" think they might commit in the future! No jury would take children for adoption under such flimsy pretexts so the sooner the establishment family judges are sacked and replaced by juries when questions of adoption or long term fostering arise, the sooner most of these flagrant injustices will be eliminated.A burglar facing a possible 6 months or more in prison can demand a jury and so should parents facing in effect a life sentence when losing children in secret courts to forced adoption! We, Salma's family thank the CNJ over and over again, and would like in particular to thank the people who commented in page 17 for their wonderful input. However, our pain has been made much worse to read that Camden council believe they are actually four stars council. The numbers shown are actually not all the Camden Council made out of Salma, the Monroe centre charged £1000/hour for people of low/medium qualifications to make a report that would be laughed at if not within the secret courts.